The Southern Poverty Law Center ? A Hate Group ? Rigorous debate, honest discussion, open exchange of ideas?that’s the American way. First, find a handful of crazies with barely any followers, no address, and no staff, and blow them up into a dangerous movement? proof that there are neo-Nazis lurking everywhere. On their notorious “Hate Map,” the SPLC lists 917 separate hate groups in the U.S.! No one has even heard of more than a handful of them. Mind you, it is entirely fair to disagree with any of those folks. But it is utterly unfair to call them haters or extremists. 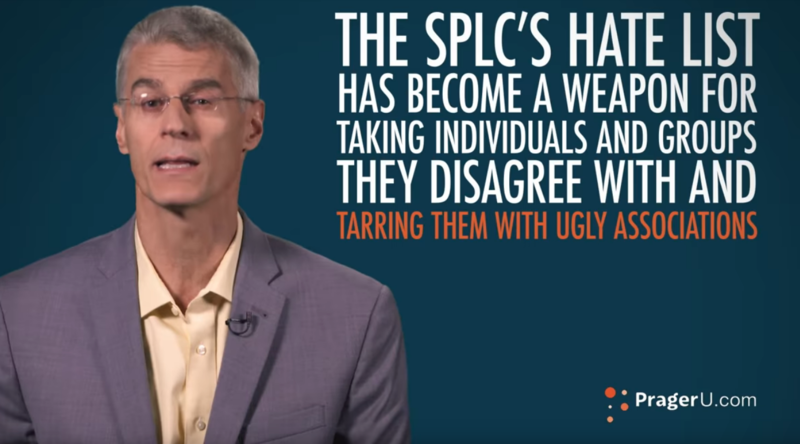 The largest category listed by the SPLC as extremists?with 623 entries?covers groups like the Tea Party organizations that are wary of centralized government. Last time we checked, favoring smaller government was a mainstream and perfectly honorable American tradition.